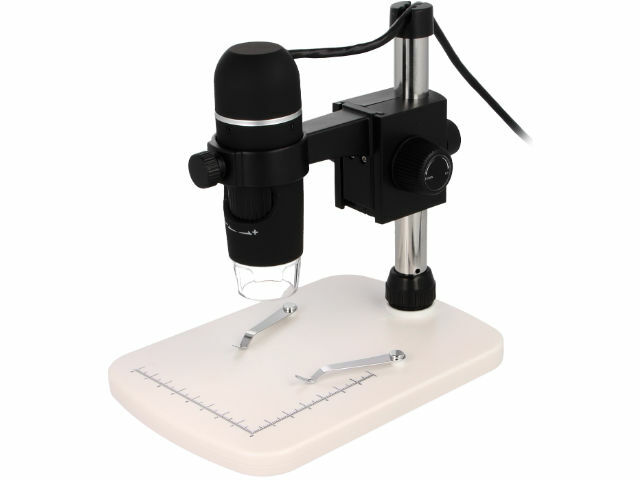 TME’s offer now includes two new, high quality NEWBRAND digital microscopes. NB-MIKR-300 is a USB digital microscope which enables displaying the image on the screen of PC or laptop, as well as saving photos and videos on a drive. built-in illumination consisting of 8 LEDs, smooth adjustment of light intensity. NB-MIKR-500 is equipped with a focus adjustment feature thanks to which it is possible to see even the smallest details. It allows for recording videos in VGA and QVGA resolutions, as well as for taking photos with a resolution of up to 12MP. Additional AV output makes it possible to display the object being observed on a TV or computer screen. adjustable work surface with metal handles making it easier to put the examined object in an appropriate place.